Week twenty eight and the Easter theme continues. 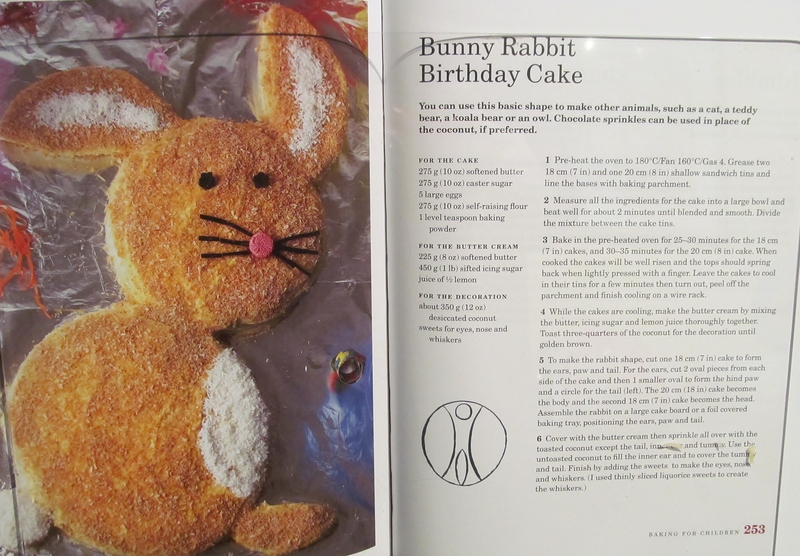 Mary makes a bunny rabbit birthday cake in her book but I thought it would make a nice easter cake and funnily enough, in my search for a bargain, I found a silicone easter bunny cake in my local Lidl and it inspired me. Mary’s recipe for making this cake is pretty much throw it all in a bowl and mix it together until smooth, so that’s exactly what I did! 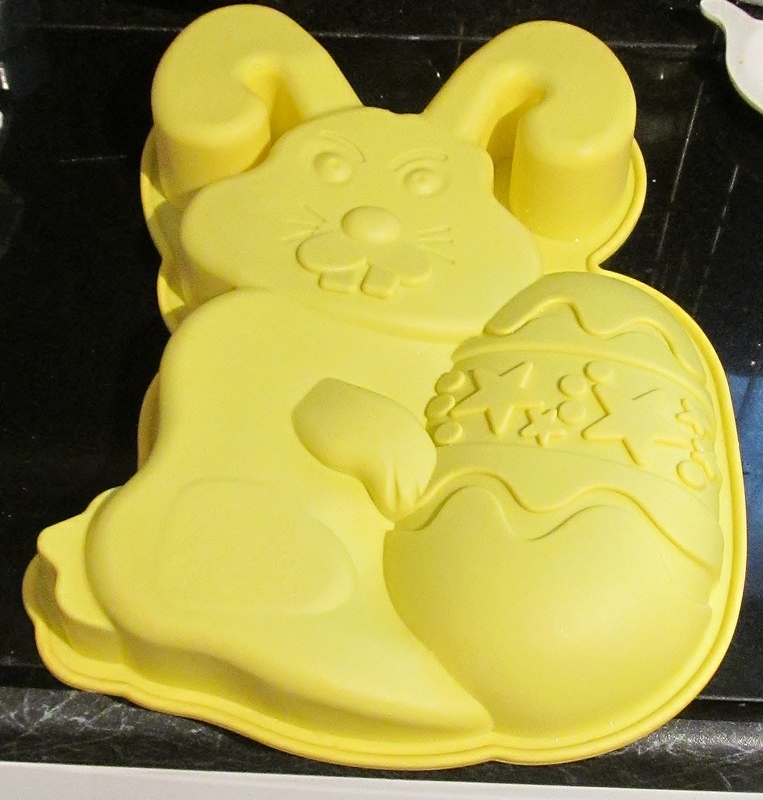 The fun came when pouring the mix into the silicone bunny and ensuring it went into all the nooks and crannies! Then into the oven it went and the timer went on. While it was baking, I looked at how Mary suggested decorating it. She suggests dessicated coconut, but I thought grated chocolate might be more in keeping with Easter (that’s my excuse…..!) so I grated some milk chocolate, white chocolate, pink chocolate buttons and orange chocolate buttons and made the butter icing. 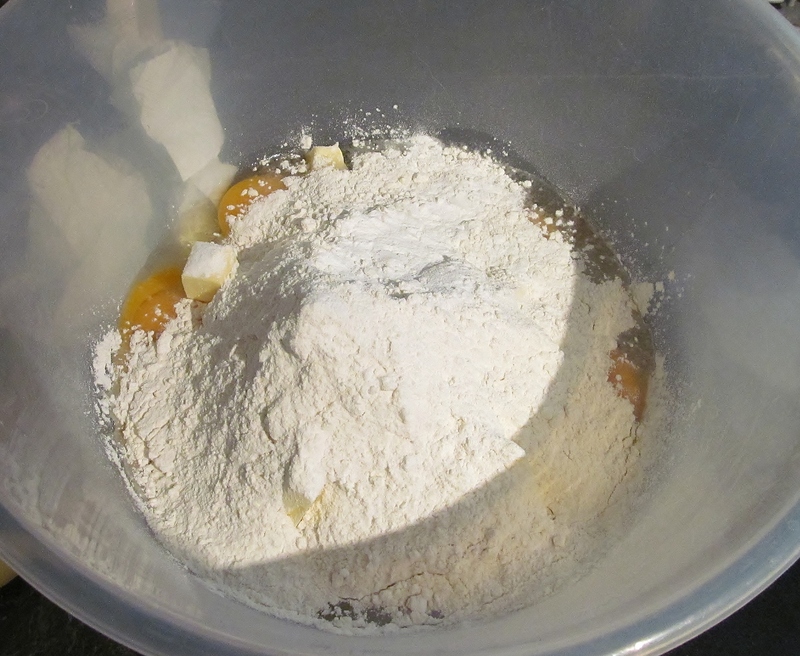 I had also decided to make some Easter biscuits so I made this dough which was easy enough, and rolled out the dough. I didn’t have any easter cutters so I used a heart cutter. The cake came out of the oven and was left to cool a while before I took it out of the silicone shape. It came out really well and I left it to cool completely. The biscuits went into the oven at this point. My hubby likes this point as he gets to have “first dibs” on the leftovers in the bowl and if there isn’t anything in it that is harmful to the dogs, they often get the last lickings before it goes in the dishwasher! 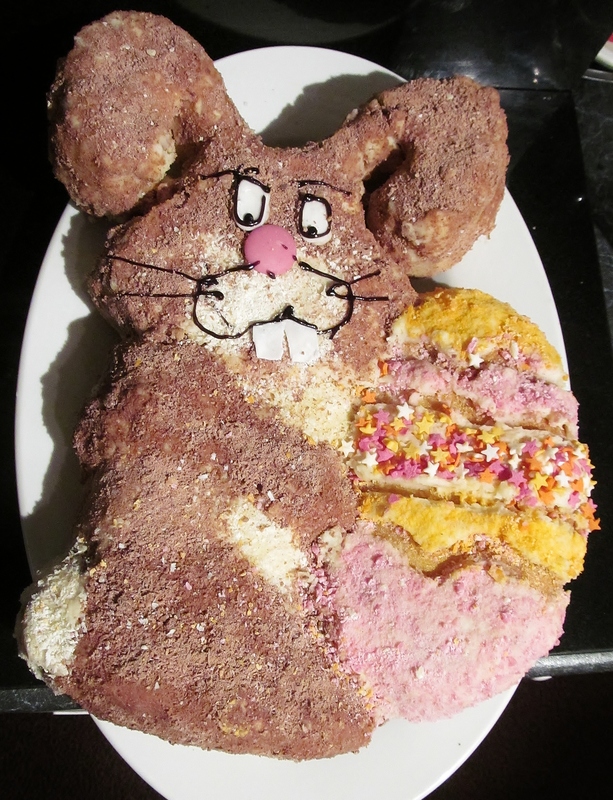 The decorating of the rabbit cake was trickier than it looked. 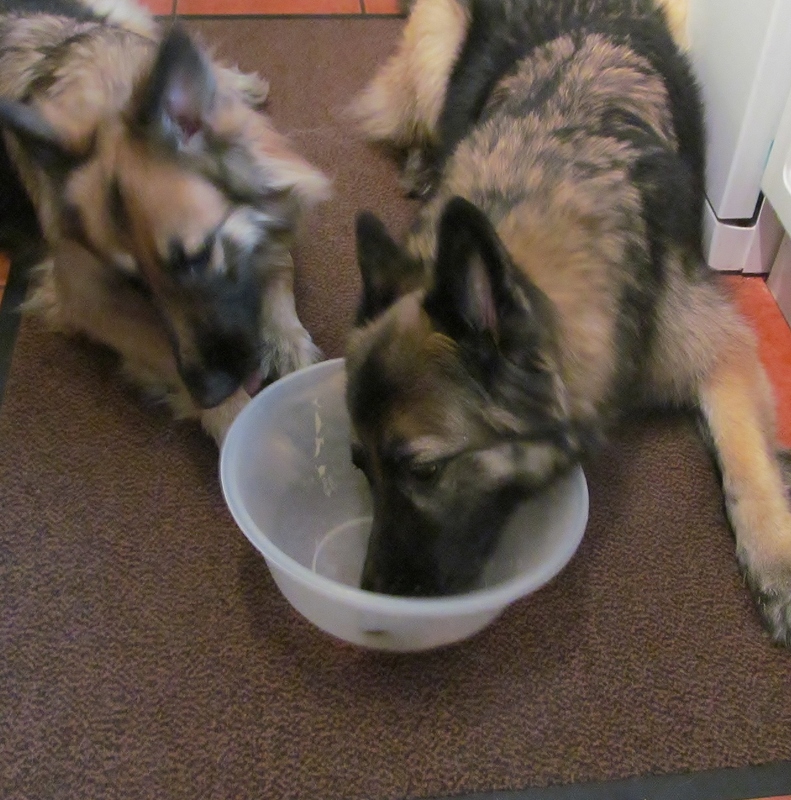 Having to put on the butter cream and then the chocolate shavings and trying to keep any bits that fell on the floor away from the dogs- in case anyone doesn’t know, chocolate , raisins, currants etc- VERY bad for dogs, can even kill them so please don’t let them anywhere near them. Finally the cake was finished, the tidying up of all the shavings, bowls and surfaces took forever. 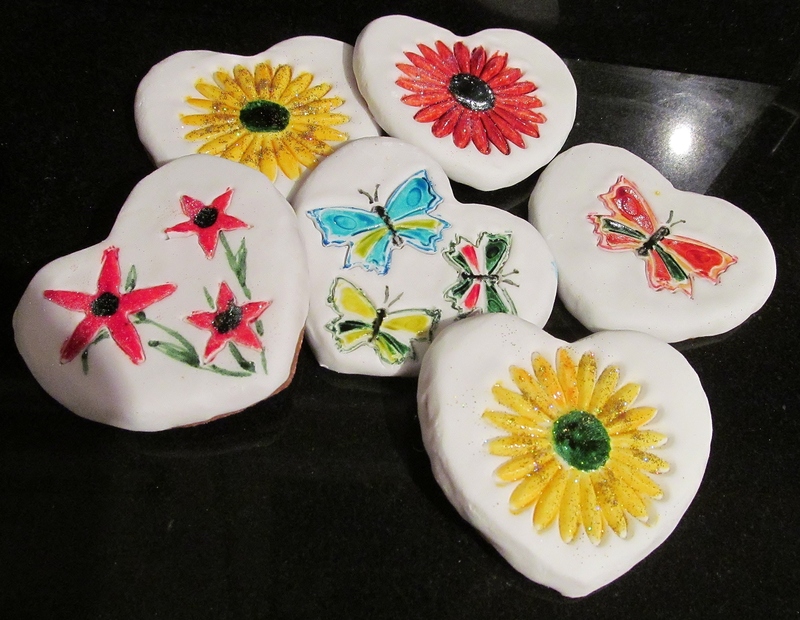 The biscuits, I decided to put an icing cap on so I rolled out some fondant icing, and used the heart cutter to cut the toppings. I have some pretty cutters so I pressed these into the topping and then allowed the icing to set before using food colourings to paint them to make them look pretty. 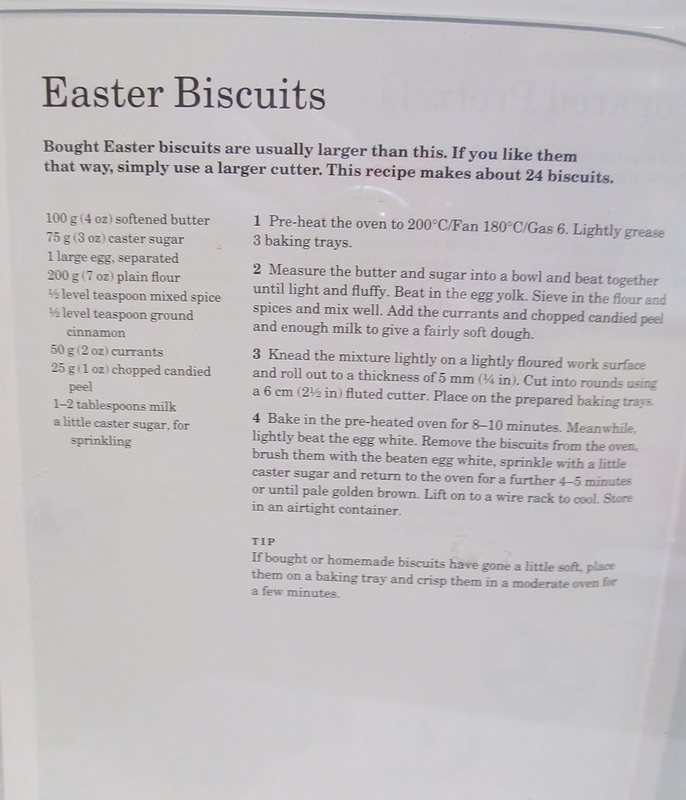 This entry was posted in Kim's cake challenge and tagged Biscuit, Cake, chocolate, Cooking, Easter, easter biscuits, Easter Bunny, Home, kims cake challenge, Lidl, Mary Berry, mary berry's Easter Recipes by kimsideas. Bookmark the permalink. Well I can confirm that both the biscuits and the cake were delicious… Notice how I used the word WERE as yep you’ve guessed it, there isn’t exactly a lot left….